With more than 8.3 million overnight stays per year, Barcelona stands out as one of the most visited cities in Europe. The reasons that explain the huge pull of this city are many: starting with its countless monuments and museums and all the way to the delicious Catalan gastronomy, passing through the pleasant Mediterranean climate, infinite cultural and leisure activities, and 10 urban beaches perfectly connected with the city and offering all types of services. Also, keep in mind one more thing – namely, an opportunity to explore and admire lots of charming medieval villages near Barcelona. As you will see, this province is home to photogenic medieval villas which seem to have lost track of time. To help you enjoy them during your next weekend getaway to Catalonia, we invite you to discover the most beautiful villages of Barcelona. Get your camera ready and set off on a trip through time! The sub-comarca (borough) of Alt Berguedà sits in between the beautiful peaks of the Pre-Pyrenees. 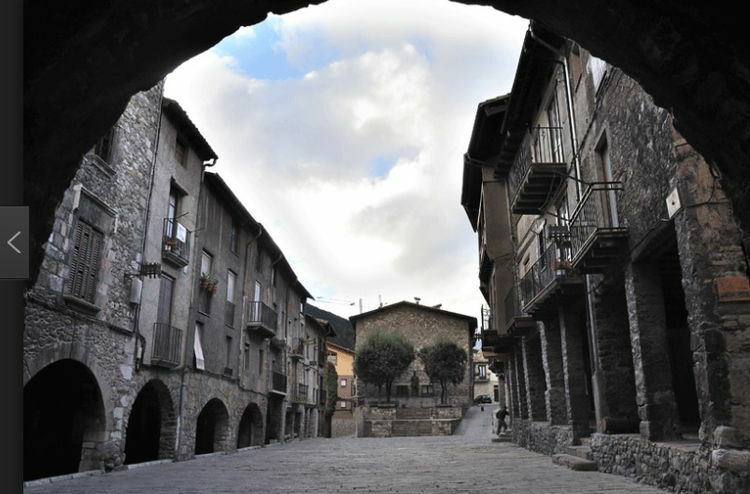 Besides its incomparable landscapes this place proudly features one of the most beautiful medieval villages near Barcelona: the enigmatic town of Bagà, the capital of the old barony of Pinós which was founded in 1234. 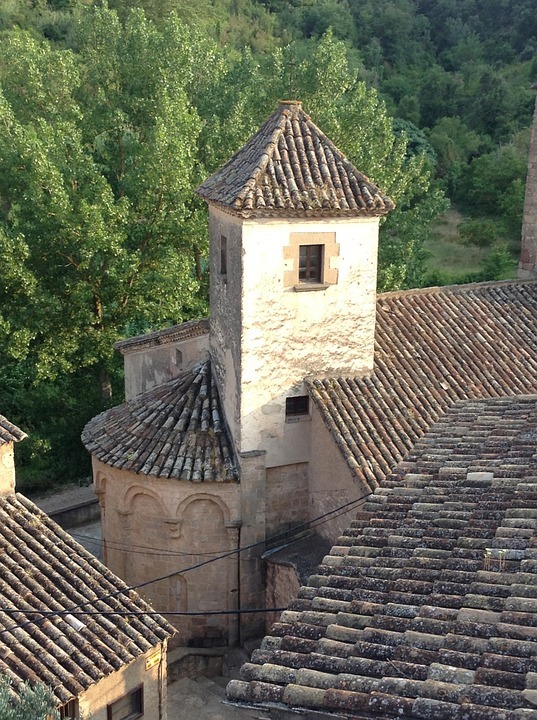 Among its most remarkable buildings it is worth mentioning the church of Sant Esteve (14th century); the tower of the Portella, the old prison, the courtyard of Forment, the porticoed square of Galceran de Pinós, beautiful ancestral houses – such as Cal Agutzil – and the Villa bridge over the Bastareny river. It is also advisable to visit a permanent exhibition in the Medieval Cathar Centre dedicated to Catharism. 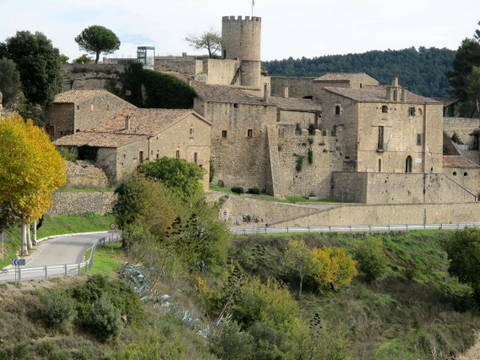 Cardona is a town and a small municipality in the comarca of Bages with less than 5,000 inhabitants; however, it is here that you can enjoy a spectacular view of one of the best-preserved medieval buildings in Catalonia. Its flagship is the castle, the origins of which date back to 886, when its construction was ordered by the Count of Barcelona Guifré el Pilós. Next to it you will see the collegiate church of Sant Vicenç, built in 1040. The building is one of the best examples of the Lombard Romanesque in Catalonia, which surprises the visitors with its unusual dimensions. Another site of interest is a part of a 14th century Gothic cloister, and the tower of Minyona that is 25 metres high and dates back to the 12th century. Visiting the center it is advisable to check out the church of Sant Miquel. Its construction started at the end of the 13th century and lasted until 1397, and nowadays it is an interesting example of Catalan Gothic. And one more thing, try not to get lost in the Cardona salt mines, exploited between 1929 and 1990 to extract potash. Unique geological formations of its inside will leave you speechless. 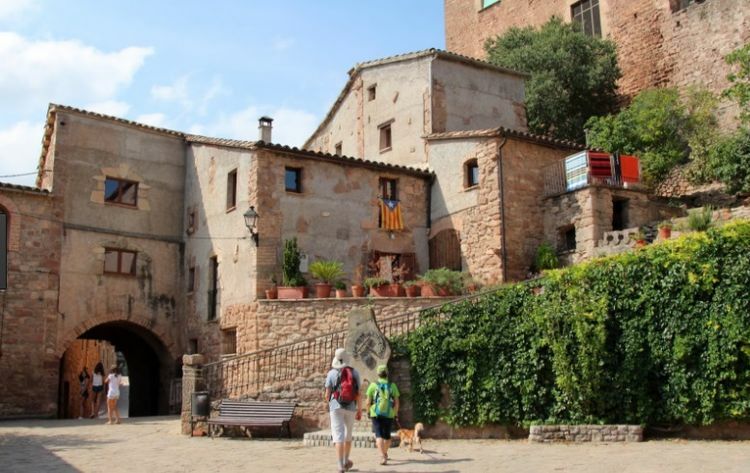 Another of the medieval villages near Barcelona is the amazing village of Mura, a charming place with small streets and cobbled squares protected by the church of Sant Martí, a 12th century Romanesque construction. Also, don’t miss the ruins of the castle which dates back to 1023, and the aviary where peacocks, roosters, chicken, ducks, rabbits and other farm animals live in nature. In addition, just 800 m away from the village centre there is a flour mill of medieval origin. The surroundings accommodate a cave formed by a 200 m long gallery. The road to get there is signposted in red. Also, pay a visit to Puig de la Balma, a traditional 12th century farmhouse built in the rock. And if you are passionate about natural landscapes, pay a visit to the majestic waterfall (Gorja del Pare or Father’s throat) with a beautiful pond beneath. Bages also boasts the picturesque village of Rajadell, which lies in the east and has a population of just over 500 inhabitants. Surrounded by groupings and scattered houses, its nerve centre is the Gothic castle, located in the highest part of the town. Other monuments that deserve a visit are the church of Sant Iscle and Santa Victòria, the Roman villa of Sant Amanç, an oil mill and an oil cellar. And of course, there are a lot of restaurants in Rajadell offering typical Catalan dishes. 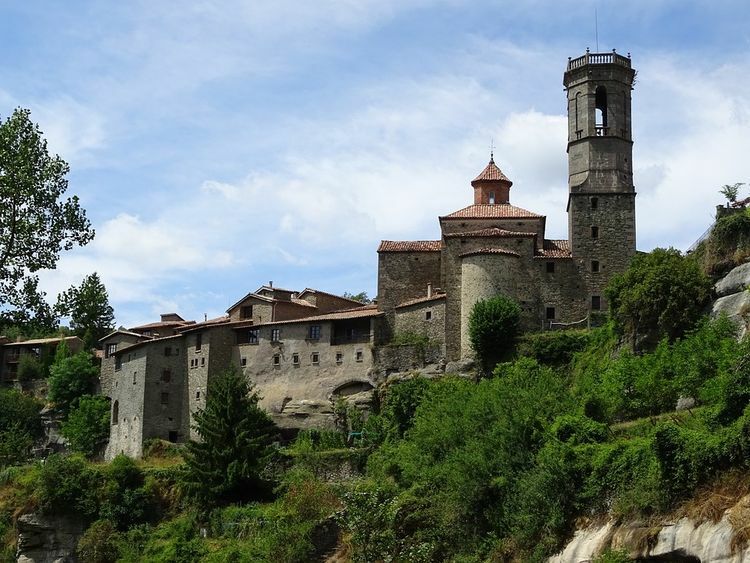 109 km away from the city of Barcelona and in the heart of the comarca of Osona there is an enigmatic medieval village, formed by the urban center of Rupit i Pruit since 1977 with less than 300 inhabitants. Located in the natural landscape of Collsacabra and the Guilleries Massif, it was declared a Historic-Artistic Site thanks to the excellent conservation of its buildings and cobbled streets. One of its most iconic buildings is the church of Sant Jon de Fàbregues, located at the entrance to the village; being originally from the 10th century, in the 11th century it was reconstructed in the Romanesque style. On your way to the church of Rupit you can admire the Sellent waterfall, a rocky platform 100 m high from where the waters of the Rupit stream fall down. This geological attraction has inspired a saying that is very common in the region and says: “It´s impossible to get to Rupit by land or by sea, although one can get here by stone”. On the river meander nearby there is the 17th century hermitage of Santa Magdalena. The neuralgic centre of this village is made of ancient houses, a magnificent example of typism and popular architecture from the 16th to the 18th centuries. Some of them were recently renovated and refurbished to be used as a second residence, although the dates and the names of their founders can still be found on front doors. Once again we are back in Bages, this time to check out Súria, which was founded by the Romans. This ancient toponym has to do with its salt mines, which were an important source of wealth, and triggered numerous social conflicts in the past. However, nowadays its main touristic sites are narrow and steep streets, which go up towards the old city centre. Among the most outstanding monuments of Súria it is worth mentioning its castle (13th and 16th centuries); the churches of Roser (12th to 19th centuries) and of Santa Maria de Cererols (10th to 17th centuries), the chapel of Sant Salvador de Súria and the Serrat del Portell del Llop, a mountain range of outstanding natural beauty. 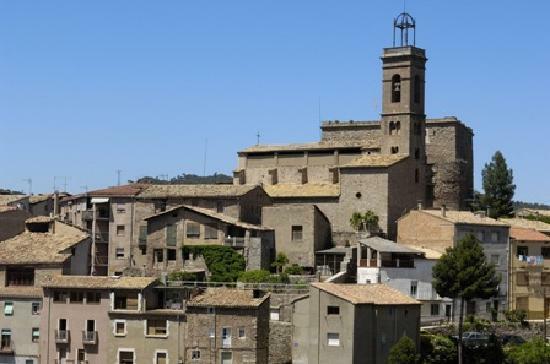 To close the list of the best medieval villages near Barcelona, Bages surprises us with Talamanca: a municipality which has fewer than 100 inhabitants, but boasts many picturesque sites. 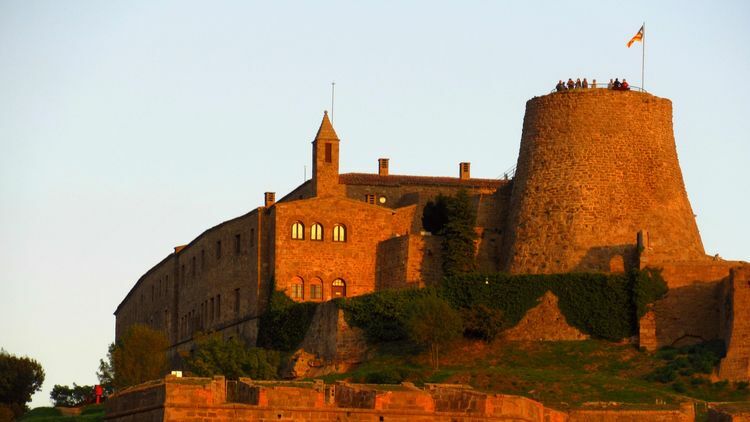 Among its attractions let´s mention the church of Santa Maria, a Romanesque building with a Latin-cross floor plan (corresponding to the 12th century), and a beautiful castle. Although this construction was documented back in the 10th century, the current building dates from the 18th century. 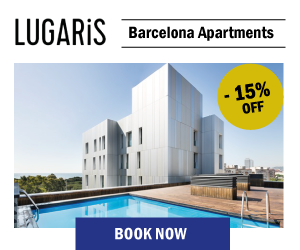 When staying in Lugaris rental apartments in Barcelona you can easily take a tour of the medieval buildings in Barcelona and the most amazing Middle Aged villages in its surroundings, as well as many other tours across Catalonia to enjoy your holiday to the fullest. Book your room and get ready to explore! If you know other medieval villages near Barcelona that are worth visiting, don’t hesitate to tell us. We are looking forward to your suggestions and comments! Great post! Many thanks for the details on the best medieval villages. We are visiting Barcelona next month and are extremely interested in medieval history and architecture. We were looking for a castle to visit, so we think Cardona may be an interesting bet.